Attorney General Ken Paxton announced that four individuals were indicted on 30 felony counts of voter fraud and arrested following a lengthy investigation by the Election Fraud Unit of his office. From 2005-2017, the attorney general’s office prosecuted 97 defendants for numerous voter fraud violations. This year alone, Attorney General Paxton’s Election Fraud Unit – with assistance from a criminal justice grant from the governor’s office – has prosecuted 33 defendants for a total of 97 election fraud violations. 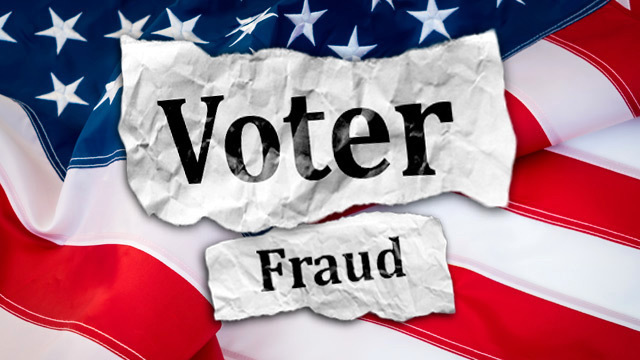 An investigation into the Fort Worth voter fraud ring by the attorney general’s office determined that fraudulent applications were generated through forged signatures and by altering historical applications and resubmitting them without the knowledge of the voters. Harvesters also used deception to obtain signatures from voters. Many of the voters were forced to cancel their ballots in order to be able to vote in person, and some were forced into receiving primary ballots for the political party supported by the harvesters, though it was not the party the voters wanted to vote for. Vote harvesting is accomplished generally in two phases: seeding and harvesting. In the seeding phase, applications for mail ballot are proliferated in order to blanket targeted precincts with mail ballots. Then, when ballots are mailed out by the election offices, harvesters attempt either to intercept the ballots outright, or to “assist” elderly voters in voting their ballots while ensuring that the votes are cast for the candidates of the harvesters’ choice. In most cases, the voters do not even know their votes have been stolen. The defendants – all members of an organized voter fraud ring – were paid to target elderly voters in certain north-side Fort Worth precincts in a scheme to generate a large number of mail ballots, and then harvest those ballots for specific candidates in 2016. Leticia Sanchez was indicted on one count of illegal voting, a second-degree felony punishable by a prison term of two to 20 years, if convicted. All defendants in the case face state jail felony charges of providing false information on an application for a mail ballot – Sanchez (16 counts), Leticia Sanchez Tepichin (10 counts), Maria Solis (two counts) and Laura Parra (one count).